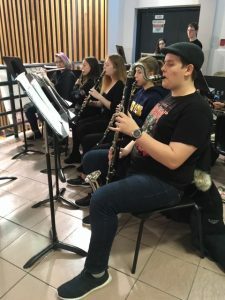 Our EMCS Band is a vibrant, year-long musical program for musicians of all grades and ability levels. We meet outside the timetable, so students can take a full course load and enjoy being part of the band. We play music of various genres – pop, rock, jazz, marches, lyrical pieces, and standard “festival” repertoire. The band performs around Sooke, at EMCS events, and attends local music festivals. Winds, percussion and strings are welcome. 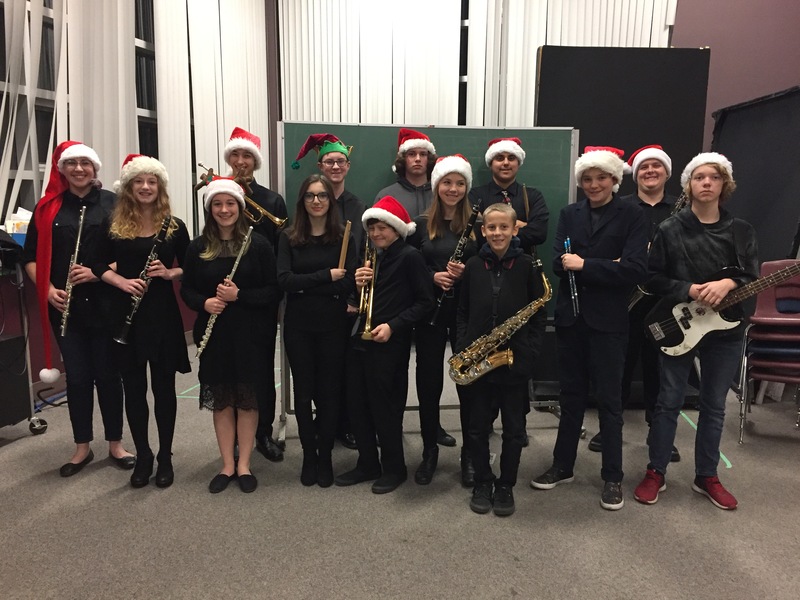 Please contact Band Director, Laurel Parliament at lparliament@sd62.bc.ca with any questions regarding our Instrumental Music Program. Students and staff very much enjoyed the live band performance at EMCS’ Santa breakfast December 2018.